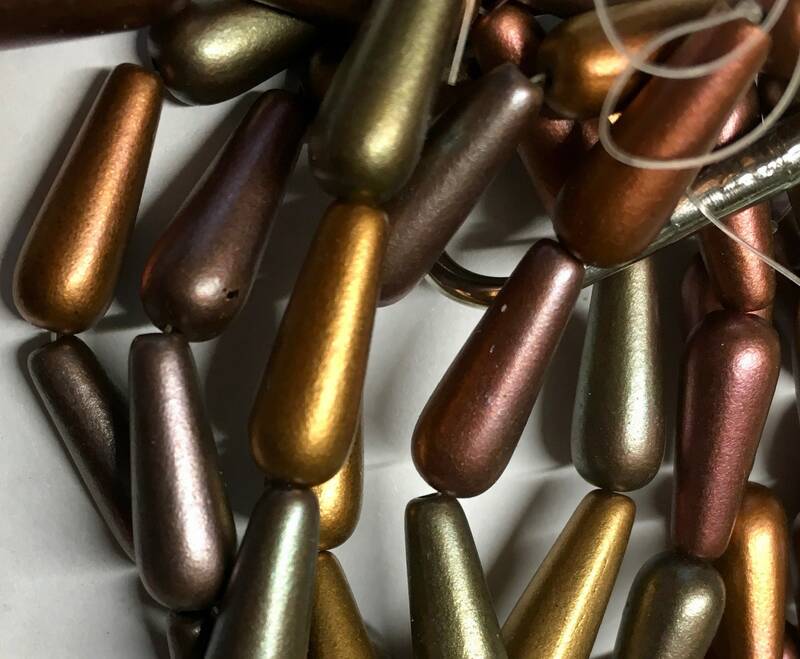 Opaque Metallic mix of bronze, brass, gold, copper, pink, and green. 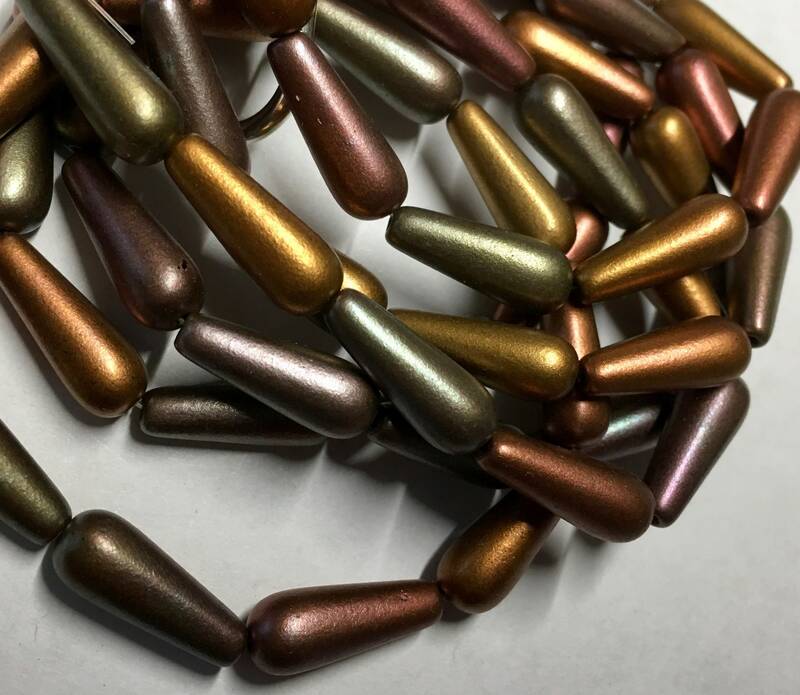 Some beads have a blend of 2 colors. No two strands are the same. 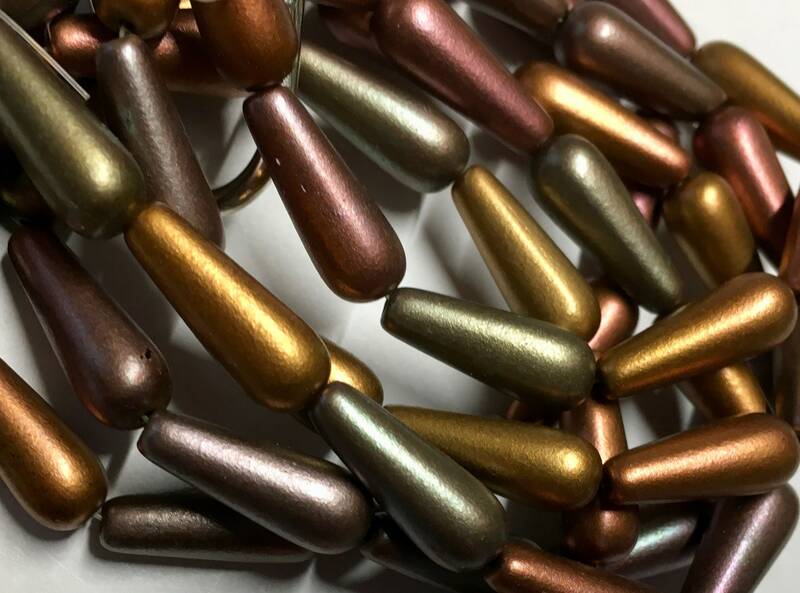 Depending on the bead, beads work well with antique brass, gold, copper and silver findings. Czech pressed glass teardrop beads. These have a vertical drilled hole running from narrow to wide end of teardrop. Beads measure 6mm x 15mm. You will receive 10 beads per strand.